One night after nearly being no-hit by Jake Arrieta, the Red Sox managed just one run off journeyman pitcher Edwin Jackson in losing to the Cubs 2-1 at Fenway Park. Jackson held the Sox to one run on six hits and four walks over six innings. The lone Boston run came on RBI single by Dustin Pedroia in the bottom of the fifth inning, briefly giving the Sox a 1-0 lead. 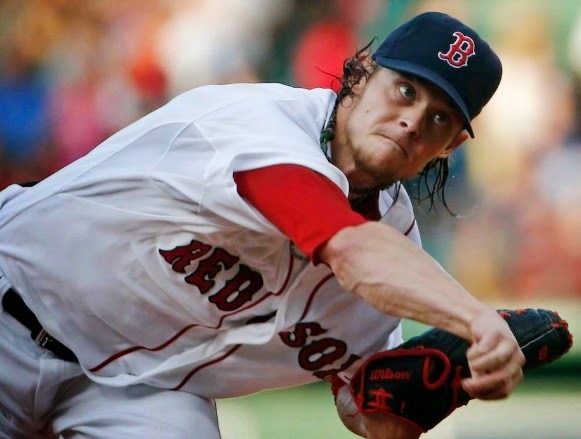 Clay Buchholz scattered five hits over 6.1 innings, allowing just one run. He struck out two and did not walk a batter. Chicago tied the game in the top of the sixth on an RBI ground out by Chris Coghlan. The winning run scored on a sacrifice fly in the top of the ninth by Luis Valbuena off Boston closer Koji Uehara. Pedroia led what little offense the Red Sox had last night with three hits; Brock Holt and A.J. Pierzynski each had two.